An entrepreneur who founded Liquor Laboratory, which offers beginner to advanced cocktail classes for consumers, is set to open his first permanent venue in the US. 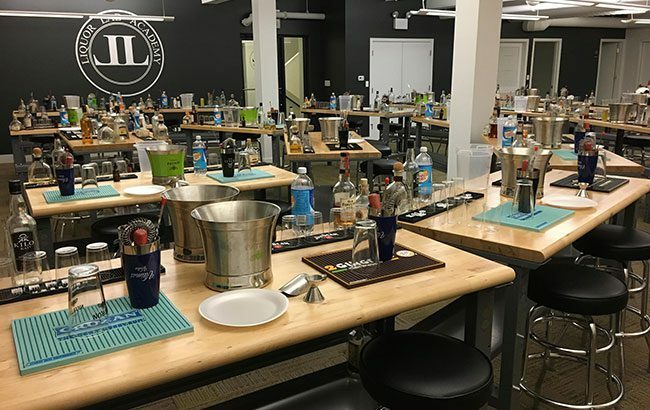 Liquor Laboratory, founded by Owen Meyer, who used to work in sales at Beam Suntory, will enlist the talents of certified beer, wine and spirits specialists, alongside top bartenders, to offer interactive events teaching everything from how to make classic cocktails, to home brewing, and even how to make crystal clear ice. Liquor Lab has been undergoing a pilot test run for a year in Chicago under two separate formats: the Wine & Whiskey Concept, which offers an “experiential event” similar to pop-up dining club experiences that are currently growing in popularity, and the “hands-on experience” of Liquor Lab. Liquor Lab will open its first permanent location in New York in September, and tickets for events will go on sale from October this year. Each consumer who attends a class – tickets for which can be purchased through the Liquor Lab website at www. LiquorLaboratory.com – will be given a comment card, incentivised with a “best of” cocktail book for those who offer their feedback. Furthermore, Liquor Lab will also offer “real-time” consumer insights and trend reports as a result of its events. Companies will then be able to pay to pull reports from Liquor Lab’s online portal in real time and discover what consumers are saying “at the point of consumption”. Meyer is already planning to take Liquor Lab nationwide, and is set to launch his venture in Chicago, Denver, Austin, Vegas, California, Seattle and Portland and other regions in 2018. Meyer said: “Essentially, the inspiration for this came from two pressure points: one, the demand for hands-on experiences/experiential events by consumers. Two, the new challenges brands are facing to effectively engage consumers.